Kristiana and I are flying out to London for a couple of days and our flight is in just a few hours! 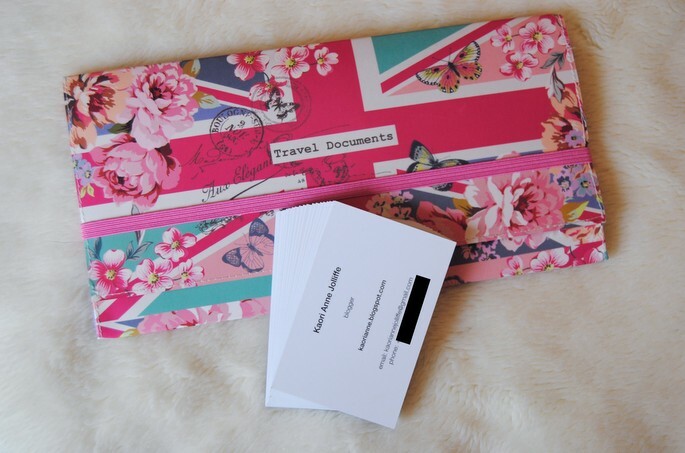 I bought this travel documents pouch from Accessorize - it was the same shopping trip as when I bought this bag. It has a mini filing system inside for documents, passports and tickets, which you can see in the photo on their website. It is a great way to organise things and I am sure I will be using it for ages! They also have a parisian themed one here if this pink is a little too "in your face" for you. The only downside is that if you lose this pouch - you lose everything.